News splurge! We’d only just finished our morning cup of coffee here at WiiWare World towers when our good friends at Hudson gave us exclusive screenshots and information for their upcoming WiiWare line-up for Europe (and hopefully North America at roughly the same time). After the excellent Alien Crush Returns which came out this week for both North America and Europe it seems that Hudson can do no wrong. As such we have high hopes for these games even if Pit Crew Panic! does seem very different from what we were expecting! Feast your eyes on the delights which Hudson has in store. Don’t forget to check out the screenshot galleries for lots more images. Cue Sports: Snooker vs Billiards is the perfect WiiWare pool game for experts and newcomers alike. Featuring realistic controls in which players use the Wii Remote just like an actual cue, the game lets anyone try their hand at pool in the comfort of their living rooms. If you’re not ready to use an “actual” pool cue, you can set the strength of the shot using the buttons on the controller. Players can choose from the most popular variants of pool, including eight ball, nine ball, rotation, and snooker. Players can try their hands at trick shots too, or even set up their own! Once they feel like true pool sharks, they can go online to play with up to four players in a Wi-Fi Matchup. Have you ever seen an all-female pit crew fix a giant broken toilet? Of course not, but now you sure want to, don’t you? Pit Crew Panic! is full of frantic action in which your pit crew fixes a variety of wacky “whatsits” as fast as they can! Race against the clock by yourself or challenge some friends to see whose team can fix that giant wedding cake the fastest! You can even play online and see if your girls can out-fix the opponent’s girls on, say, an aircraft carrier! Are you one of the few people who thinks snowboarding isn’t exciting enough? Then go ahead and Riot! Snowboard Riot! This game takes snowboard cross to the next level with action-packed racing with weapons! Play online with up to 4 people, even using the Balance Board if you want to. Finally! Pit crew Panic screenshots! Looking good! not really interested in the snooker game as i have midnight pool and i havnt got a clue what pit crew panic is all about lol. Snowboard riot could be a good though with the fact theres weapons involved although i am already going to own shaun white. No Mario Party WiiWare with downloadable boards? Shame! Geuss that means the 20th (or NOE dropping the daft alternating weeks)...and as for "1 a month" since Alein Crush Returns was supposed to be out on 24th October I'd hope Nintendo would forgive. You cant drive a car with a cake for an engine, thats just ridiculous! I was wondering what they would do after Alien Crush. I hope for more of the great fan service. Adventure Island and Bonk. I'm sure what they try will be worth checking out, though. I was not expecting Pit Crew Panic to be such a cartoony looking game. I had a more realistic vision in my head and was thinking that it would mainly be different cars not a giant toilet. As for Snowboard Riot, that looks essential. I think that it looks like it easily be what a new 1080 game could be (without weapons), which i'd so love. Additional Balance Board support seems like a must-have now for Snowboarding games. As for Snooker vs Billiards Cue Sports, i've wanted that for awhile and i think it could easily be the better Pool/Snooker game on the WIi (WiIWare and Retail). Seriously, great to see Hudson releasing so many great games when they haven't had many Retail releases on the Wii so far. I have to say that when i saw the article, i thought that there would be information on Cue Sports and Pit Crew Panic. I was hoping for more information on the new Adventure Island but seeing as they also revealed a new game that looks ace, i don't mind too much. I do wish more information will be revealed about it soon but all this is great for the moment. Can't be too greedy, can we? @Wariofan. It may be reiculous, but it's also delicious! 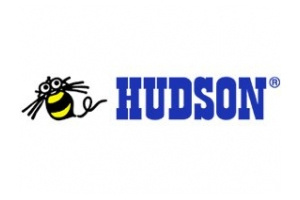 Nothing here interests me much, save for maybe Cue Sports, but it is nice to see some more Wiiware love from Hudson. Hopefully new entries in older series like Bonk and Star Soldier (with a campaign mode this time!) will follow as well. Have you ever seen an all-female pit crew fix a giant broken toilet? Of course not, but now you sure want to, don’t you? I'm very impressed with Hudson's WiiWare entries so far. They've been getting most of my Wii Points lately. It looks like their fire is not gonna burn out anytime soon! Snowboard Riot seems pretty cool. I hope they can make good use of the Balance Board, and that the online play is smooth. I don't care much for the first two, although CS does look pretty good, but if the snowboarding title's better than the dissappointing 1080 on VC, I'll definitely take a look. "Players can try their hands at trick shots too, or even set up their own! Once they feel like true pool sharks, they can go online to play with up to four players in a Wi-Fi Matchup." Hmmm. Shall I assume that Hudson read my review of Midnight Pool and made some last minute changes? Kudos on "North America"! Hray! The billiards game actually looks interesting, but billiards games tend to get kind of boring after relatively few plays. Might try it, but might stick to live-action stuff. It will interesting to see how SVBCS holds up to Midnight Pool. PCP looks ok, if it's priced around 600 points I would consider getting it. Snowboard Riot looks great, let's hope it can take the title of best snowboarding Wii game. If it's as good as 1080 was, I'll definitely get it. Good thing they got out all their good games before they started giving us this whateveryouwannacallit. Knew about Pool game, could care less. I am SOOO getting Snowboard Riot!!!! This is GREAT news!!! Reminds me of SBK!! EJD = Shaun White Snowboarding won already! i cant wait for both that pool game and the snowboard riot. Most interested in Snowboard Riot from that list. I laugh at Pit Crew panic i think its going to mhave a ton of humor in it . Nice games from Hudson, I hope the snowboarding one controls well, but I'm not that interested, not a single game for my tastes. Maybe they could do another Bonk game in future, a la Mega Man 9 - though maybe with improved graphics. A remake of TG puzzler Chew Man Fu wouldn't go amiss either, since that's actually one of my favourite VC discoveries so far. Yes, yes I do. Since I can't fix my car, I might as well fix a cake. Maybe they could do another Bonk game in future, a la Mega Man 9 - though maybe with improved graphics. On the Gamecube they released Bonk's Adventure with 3D graphics. There was also the Cubic Lode Runner, Star Solider (I think the 2 and 5 minutes modes from this became Star Soldier R) and Adventure Island. @Starwolf_UK: Didn't realise that - I'll see if I can find an old copy in the local games shops. Well - the ones that still have about 10 GameCube games hidden in the bottom corner of their shelves. "On the Gamecube they released Bonk's Adventure with 3D graphics. There was also the Cubic Lode Runner, Star Solider (I think the 2 and 5 minutes modes from this became Star Soldier R) and Adventure Island"
Those gamecube versions of Star Soldier, Lode Runner, Bonk and Adventure Island were Japan-Only games and they aren't exactly a treat on the eyes or ears. Gameplay is about the same as the original games fortunately. Wait so if the 2 and 5 min. modes were from a GCN Star Soldier, then why did Hudson say that they might be interested in expanding Star Soldier R into a full Star Soldier game someday? I hear ya Mickeymac these games do not grab me either. Oh, well they can not please everyone at one time. Just bought Pit Crew Panic! and played it for about an hour straight. It's better than I thought it would be! Wish it had online play though so I can complete LIVE with others. Would be nice.